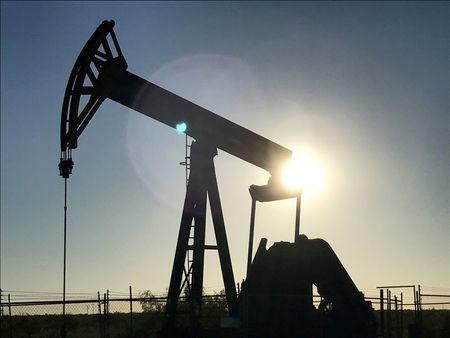 NEW YORK (Reuters) - U.S. shale oil production is expected to increase in May for the fourth consecutive month, U.S. Energy Information Administration data showed on Monday, boosted by record production in the prolific Permian Basin of West Texas and New Mexico. Total oil output is set to rise by 125,000 barrels per day (bpd) to 7 million bpd, the EIA said in its monthly drilling productivity report https://www.eia.gov/petroleum/drilling/#tabs-summary-2. Production in the Permian Basin is expected to jump by 73,000 bpd to 3.2 million bpd, the largest according to records dating back to 2007. The expanding production there has led to bottlenecks as pipelines transporting the crude have filled more quickly than expected. Bakken output is expected to rise by 15,000 bpd to 1.2 million bpd, the highest since July 2015. In the Eagle Ford shale fields, production is set to rise by 24,000 bpd to 1.3 million bpd, the most since May 2016.